The Ranch’s extensive road and trail system affords an array of solo and group biking adventures. 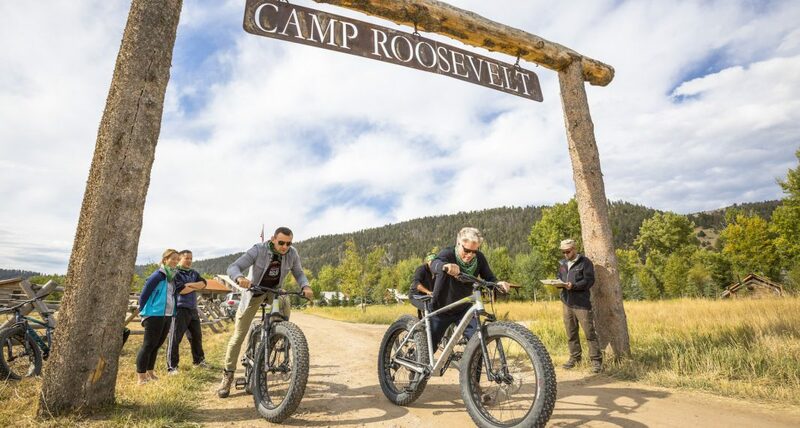 All guests receive a cruiser or mountain bike upon check-in for easy transportation between the Granite Lodge, the Rod & Gun Club and accommodations. All able guests are encouraged to walk or bike during their stay using the trails and pedestrian bridge over Rock Creek. 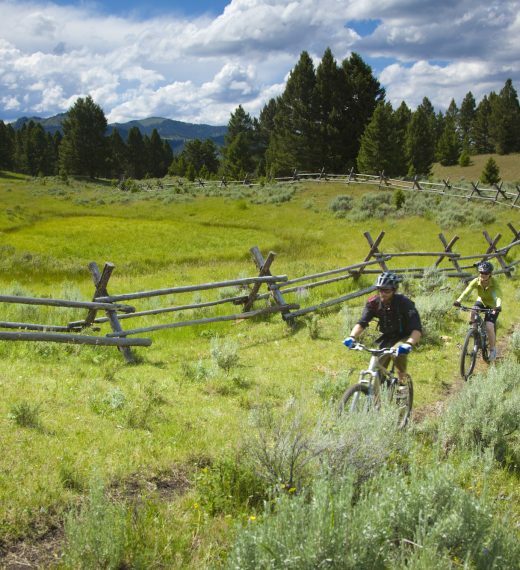 The Ranch also offers the opportunity to try one of Western Montana’s favorite sports—mountain biking. Options range from an easy pedal along Rock Creek Road to challenging single-track trails. 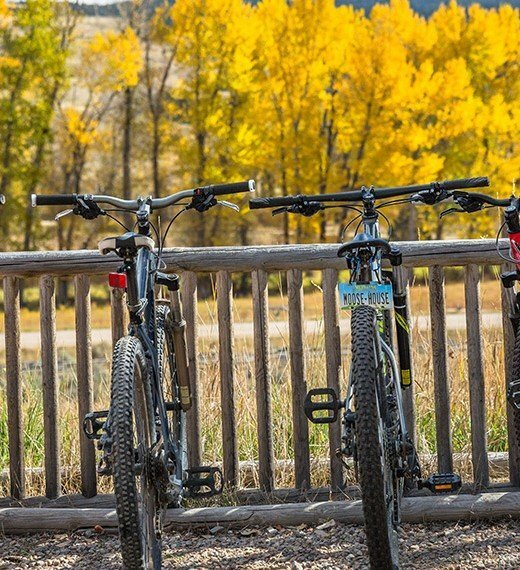 Before heading into higher elevations, get fitted for a state-of-the-art suspension mountain bike and helmet at the Rod & Gun Club. Staff is available for instruction and guided journeys. If you prefer the excitement of a downhill adventure without the sweat of an uphill climb, we have shuttles to bring you and your bicycle to the top of a thrilling 1,000-foot descent. The Rod & Gun Club also recently added nine Specialized fat bikes. These bikes are available for use year-round, and are an enjoyable way to traverse our snowy tracks and trails.